Two weeks ago, my hubby and I made the first "large" purchase of our two year marriage. You know, the kind of purchase where you sign lots of papers, and promise to pay back lots of money (with interest) and then (essentially on good faith and your credit score) they hand you a new set of keys and leave you to squee about it. That set of keys came after nearly a month of research, discussion, haggling, shopping, and a broken heart or two. But it was totally and completely worth it because now I have my baby. 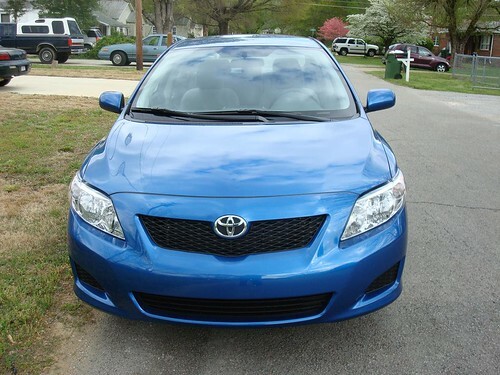 Meet my '09 Corolla in Blue Streak Metallic. Ash Grey Interior. Six CD changer. 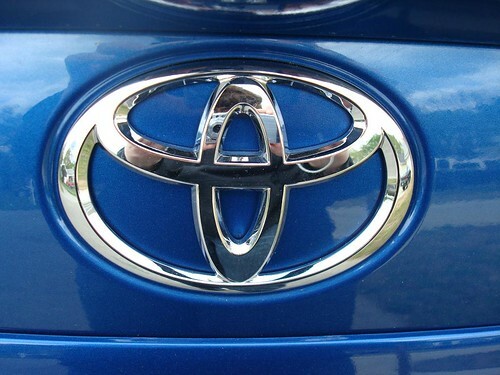 Variable windshield wipers. Cruise control. Airbags out the wazoo. Oh, and the best part? It's quiet. Peacefully, blissfully, quiet. No rattling plastic pieces that are threatening to spring off the dash and jump ship. No speakers bumping in and out with every small bump in the road. No more wind whipping in from the less than perfect door seal. Just simple, plain, quiet.